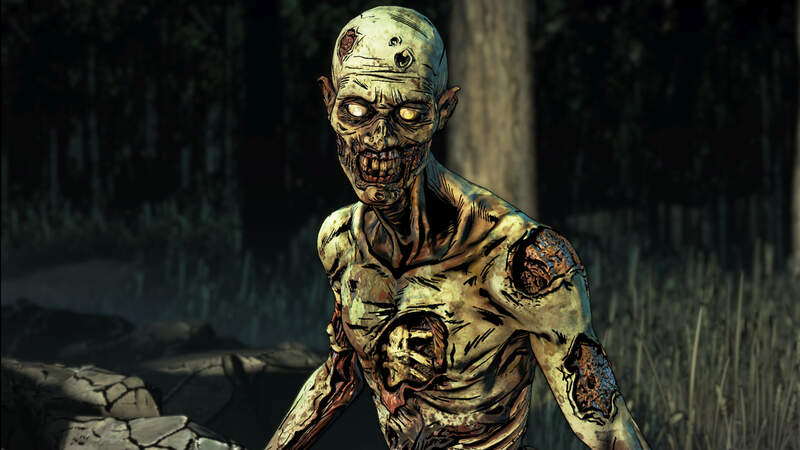 After the untimely closure of Telltale Games the apparent death of The Walking Dead: The Final Season halfway through its story left many fans disappointed but thanks to Skybound Games the game has received its own little revival. Now with that bit of irony out of the way, Clementine’s story about surviving in a world filled with the undead and those who would threaten her and AJ continues in The Walking Dead: The Final Season -Broken Toys. The question is, with only one more episode left to follow this one, has this resurrection actually been worth it? As always when it comes to episodic games, it is recommended that readers should have at least played the previous episodes up to this point or beware spoilers of major events and decisions that players experienced in the past. 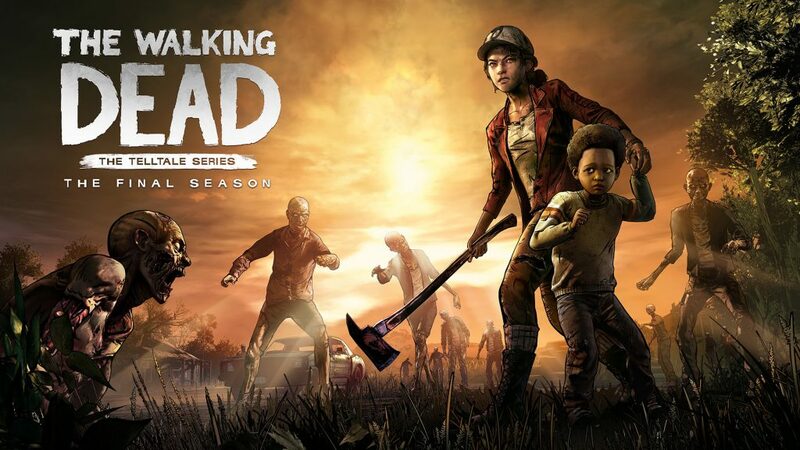 The Walking Dead: The Final Season – Broken Toys takes place almost immediately after the events that saw Lilly and her group of raiders attack the boarding school and successfully kidnap three of the children while also killing another. 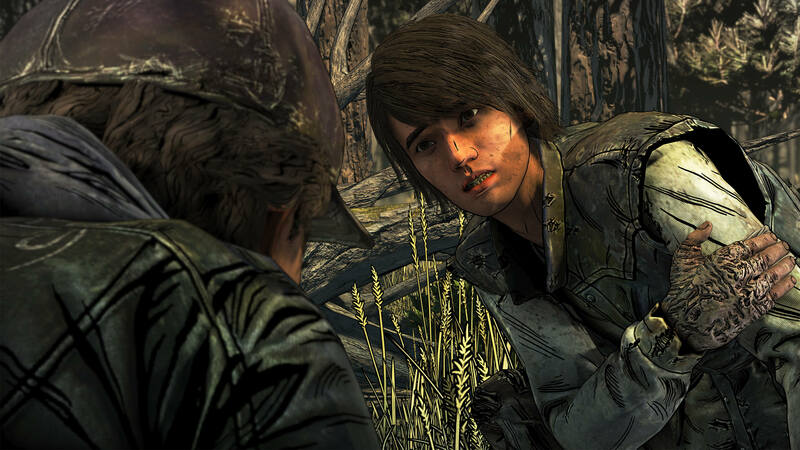 As the rest of the kids mourn the death of their friend, Clementine and AJ quickly take to interrogating the captured and heavily injured Abel. 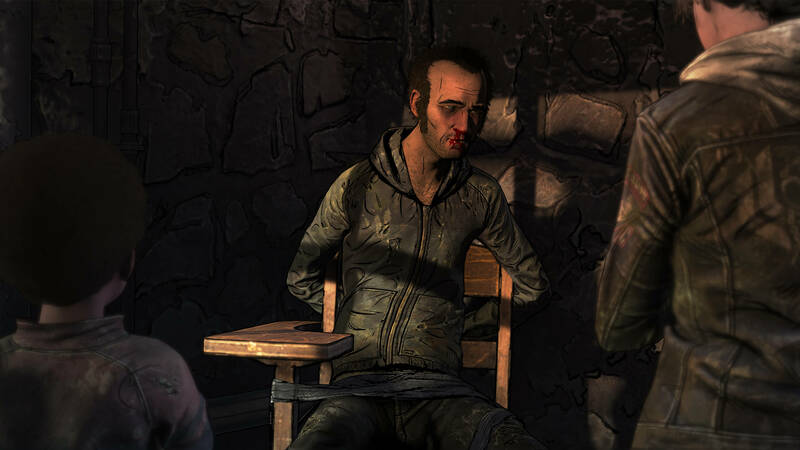 Clementine’s interrogation of Abel actually ends up serving two purposes as not only does it end up allowing players to learn more information that will help them potentially save their friends from Lilly’s group but also sets up the pace and feel for the episode as a whole. Players will need to work on keeping the balance between being a brutal threat and showing some compassion when possible as Abel, at least as a prisoner, is a bit unique thanks to his situation and the whole concept that even the roughest of raiders still have something they fear, and that is becoming a walker and what it actually means to become one of the undead. This concept is explored numerous times throughout this episode which, as with the interrogation, tries to find a balance. This balance happens to be between developing characters and actually moving the story forward but unfortunately this balance swings too far in one direction and ends up making players feel like they are simply treading water for most of the episode until things take a sudden rush at the end. This isn’t necessarily a bad thing as players are able to hear some interesting stories about either Violet or Louis depending on who they saved but also learn much more about James, who was introduced last episode as an ex-member of the Whisperers. In fact James ends up serving as a big part of this episode as we see his ideology regarding the Walkers and his unique stance on them appears numerous times, bringing questions to both Clementine and AJ about the nature of the undead. Alongside this longtime fans will also be able to enjoy a couple of callbacks to old seasons as well as an extremely heartwarming sequence featuring Clementine and a face that we haven’t seen in a long time in what easily is one of the best parts of the episode. What is a bad thing about this approach is the way that the events of the episode are actually paced out. Players will swap from preparing to face off against an enemy that is well-armed and well-positioned to randomly having a little party for themselves. While this does try to show that these children still are trying to enjoy themselves in a world with little joy left in it, the pacing suffers heavily because of it. This leads to the actual climax of the episode and action sequences being poorly handled and rushed despite having a few shocking moments in it. Though considering how resourceful Clementine can appear to be at times, her inability to actually grab weapons such as dropped guns or crossbows still continues to be an issue. That being said, with the amount of variation in choices that have led up to this episode being quite evident throughout and leaving players with one hell of a choice with potentially wildly different ending situations, Broken Toys does leave Clementine in AJ in a precarious position that will finally come to a conclusion in two months. 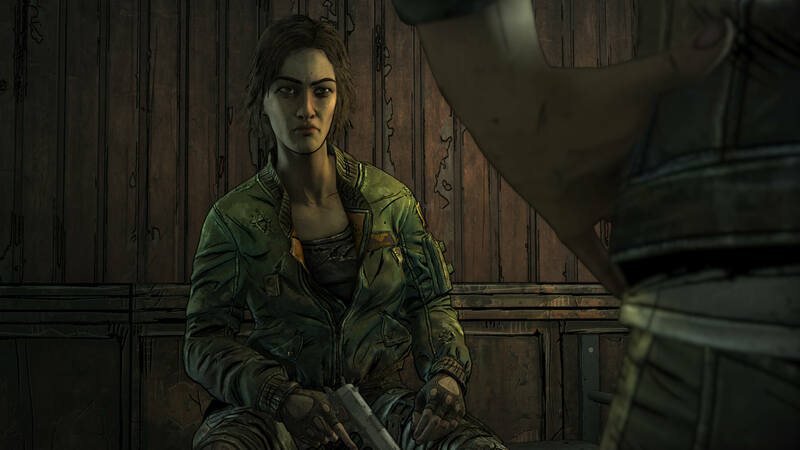 There are a few sequences that see Clementine using her knife and bow to take down zombies though it is worth noting that there actually is a bit of a twist this time around if players feel like taking the challenge to place James who would rather not see any Walkers hurt. In fact, dealing with zombies this episode takes on a different feeling thanks to the aforementioned interactions with James, making for some interesting stealth-like sequence. Other than that players will have the standard decision making and a few collectibles to gather should they feel like tracking them down. The transition from Telltale to Skybound hasn’t seen much of an improvement of the game’s graphical engine. In fact this episode has the most I’ve seen so far this season as character models randomly lost texture and blood splatters from zombies or fights randomly clipped sidewise and floated in the air. Character models and the sequence of walking with the zombies are impressive while the action once again falls flat and feels rather toned down in nature compared to what we’ve seen in the past. The voice work for the characters this episode is rather exceptional as we see not only heartfelt moments for Clementine but also those for some side characters as well. Broken Toys seems to struggle a bit with the fact that it is the penultimate episode of Clementine’s story as it tries to pass itself off as more of a middle-ground episode that would have been better placed as a third in a series of five with its focus on bringing us building up certain characters while having issues with its action sequences and pacing as a result. That being said, once the pace ramps up at the end and we see numerous backstabs and choices taking place, The Walking Dead: The Final Season finds itself in prime position for its finale in March. While The Walking: Dead The Final Season - Broken Toys had to rise from its own demise and suffers pacing issues the series still manages to pull it together enough to deliver some solid emotional moments while moving the story forward just enough to satisfy fans looking towards the finale.